The editor of the Daily Sentinel has a secret. Tucked inside a seemingly abandoned building he’s hiding a garage, a Black Beauty of a car, and a secret identity. 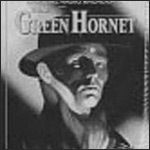 He is Britt Reid, the "daring young publisher" who "matches wits with the underworld" as The Green Hornet. He hunts the biggest of all game! Public enemies who try to destroy our America! Reid’s faithful valet Kato is a skilled martial artist and chemist. Together, they risk their lives to smash rackets, take down the crooks, and expose spies and saboteurs. Jack McCarthy, Robert Hall, and Al Hodge star as the Hornet, with Rollon Parker as Kato, Lee Allman as secretary Lenore Case, and Gilbert Shea as reporter Mike Axford. 6. The Green Hornet: Fights Crime!